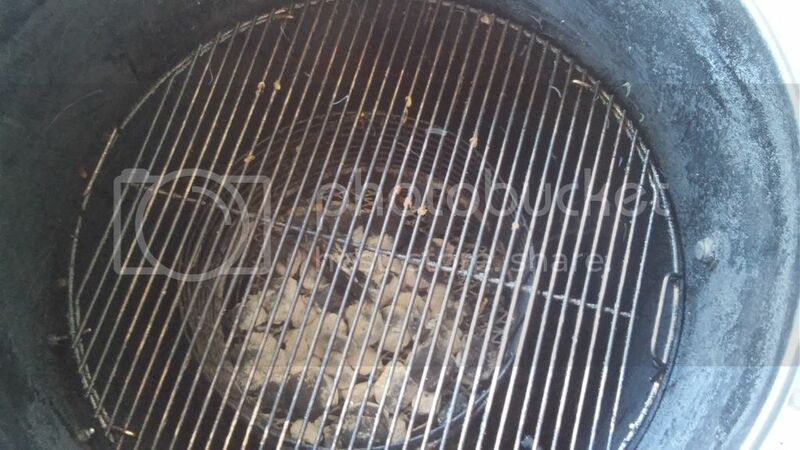 Pit Barrel Cooker (PBC) Appreciation Thread - Page 3 - The BBQ BRETHREN FORUMS. That's awesome! I've thought about doing the exact same thing as your second picture. I tried to use a weber 18.5 lid but it was slightly too small. I'm gonna be looking for a Kingsford lid now! If you cook on the wsm/pbc mod post it. I'd like to hear about it. I just figured out that if after you complete your smoking and you want do some fast grilling of steaks, burgers or veggies you have an option with the PBC. All you need to do is pick up an extra 18 in grate, place the fire basket on the main grate, and place the additional grate on top of the rebar. I have not done any grilling yet that way, but it seems like it would work fairly well. Thoughts? 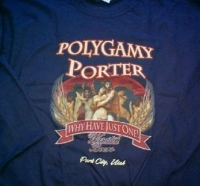 EDIT:Might also work well for reverse sear of things like a tri tip. That's an excellent idea! 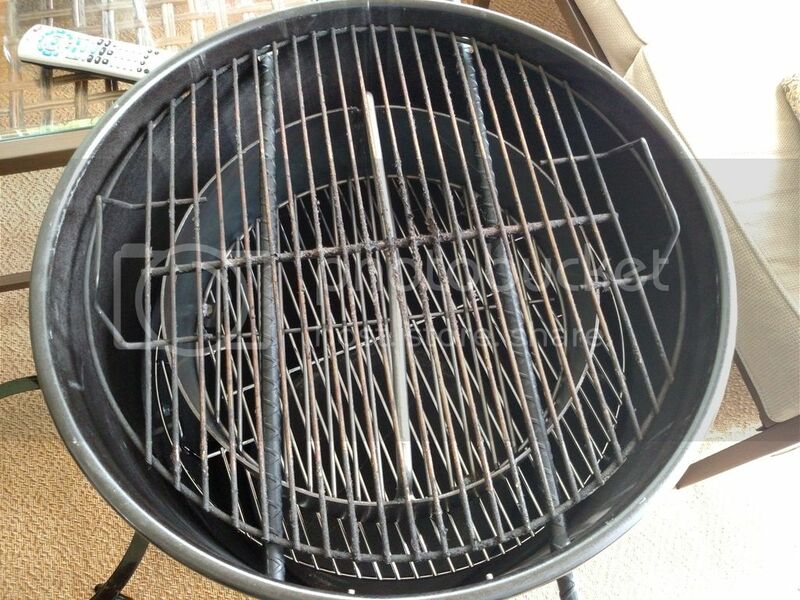 I bet you could also use your charcoal grate from the 22.5 weber kettle to sit the coal basket on if you are worried about warping a grill grate. Yes it will work fine. Just like my Big Poppa has a nest charcoal basket that with a hook pulls up and rests in upper U bolts. All I gotta do is pull the top grate, use the stainless hook rod it comes with...pull it up and replace my grate. It is great for reverse sear, plus lots of other ways to cook with it. You can red neck your PB to do basically the same thing but it won't be a 22.5" and you have some more fiddling with stuff. Just like i indirect cooked my peppers the other day but i used the outside zone. Only use a low level of charcoal...as it gets insanely hot over the middle!! My computer is broke so i can't show you some super sear pics..but you gotta be careful not too use to much charcoal. 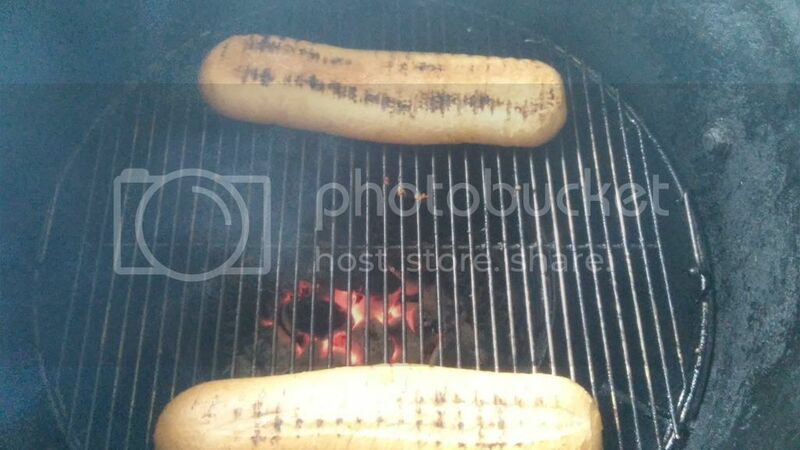 Last edited by Fwismoker; 05-15-2015 at 11:52 AM..
Can you try it out and let me know if the grill grate fits? Raining here. No tell your boss I said you can leave for the day cause you got important research to conduct. Yes the 22.5 charcoal is that size but no worries with a good cooking grate...believe me mine has been put through the paces. The cheaper ones can sag with the high heat. Thanks Bob. My lack of creativity would have prevented me from ever getting to this configuration.